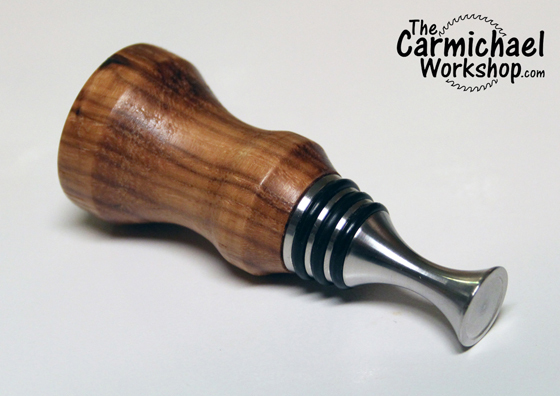 I made my first Bottle Stopper out of pecan with the help of the fine folks at Stainless Bottle Stoppers. Check out the video below. Thanks to Stainless Bottle Stoppers for making it easy for me to get started in bottle stoppers. I met them at the Atlanta Woodworking Show and mentioned I had never made one before. One thing led to another and they sent me home with a free kit as long as I would share a video of making my first bottle stopper. If you need some bottle stopper supplies, visit Stainless Bottle Stoppers for some great Made in USA products. This project turned into a friendly competition between me and Freeman Woodworking. We turned our first bottle stoppers, then shared pictures for people to vote on which one they like best and enter a giveaway for a Starter Kit on the Stainless Bottle Stoppers Instagram. Go vote and enter if the deadline has not passed! 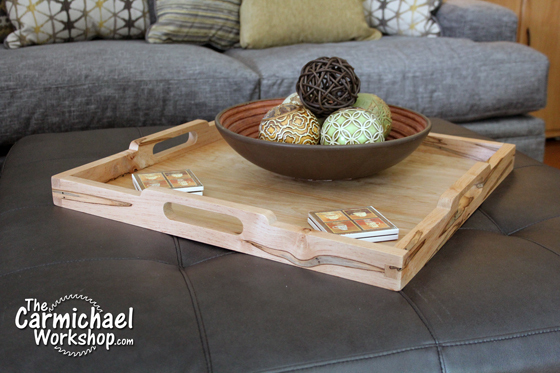 My wife requested that I make her a large Serving Tray to put on the ottoman of our new living room furniture. 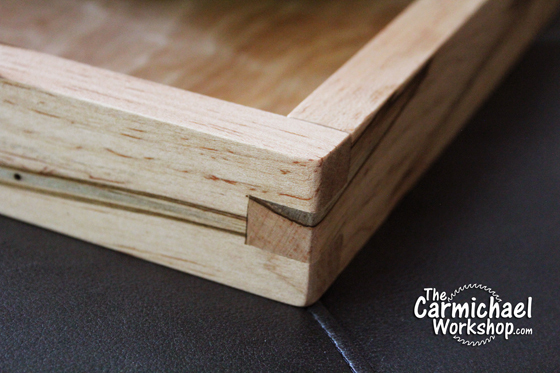 This was a perfect project for the Inventables X-Carve CNC Machine. Watch my video showing how I designed the project in the free Easel software and carved it on the X-Carve. 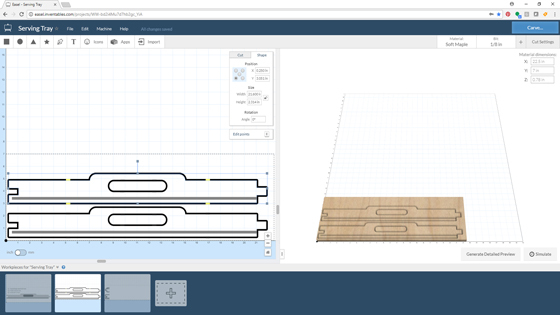 Anyone can create a FREE Easel account and design CNC projects, even if you don't have a CNC machine! CLICK HERE to create your account and begin designing. If you design a project, I would love to see it. In Easel, click the File menu and choose Share, then click the Shared With Link option. 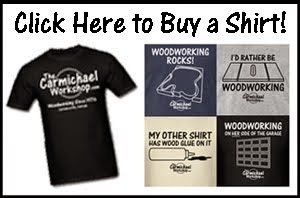 Copy the link and Save, then email the link to me at thecarmichaelworkshop@gmail.com. I will review all projects submitted by June 6, 2018 and pick a few to carve out and ship back to the designers. This is gonna be fun! Do you have a CNC machine? If so, click here to open my Easel project and carve one of these yourself! 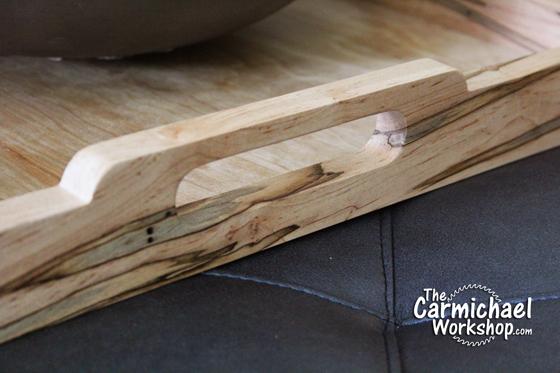 The Serving Tray turned out great and my wife loves it! 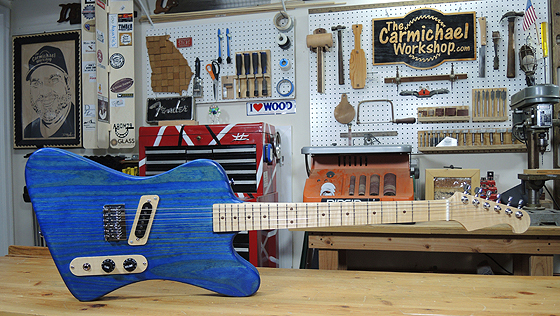 It's made from ambrosia maple and hardwood plywood. Wanna use regular tools? Then, click here to download my FREE PDF Cutting Template for this project. It's 21.5" square and just the right size for a large pizza!